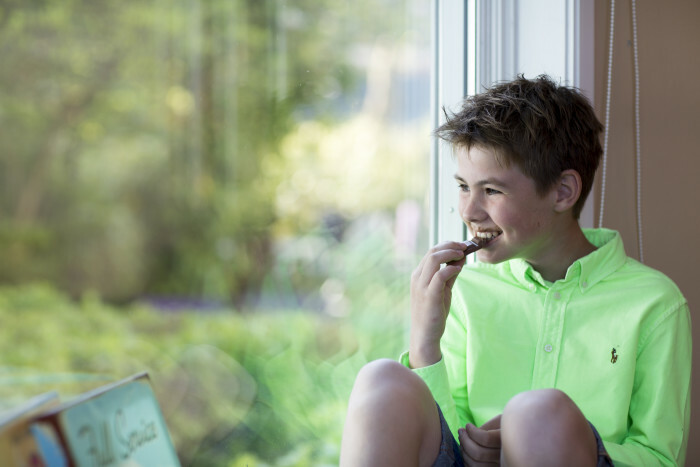 Arla Foods Ingredients has developed a suite of protein and calcium-rich snacking solutions for kids that offer a healthier alternative to chocolate bars and other popular children’s snacks. According to research, snacks now account about one quarter of the calories American children consume. In tandem with this, there is growing concern over obesity rates among children, which means the role of snacking in their diets is now under greater scrutiny than ever before. As a result, demand is increasing for kids’ snacks that taste great and offer good nutrition – which is not always an easy balance to achieve. To enable manufacturers to create healthier, tastier snacks for children, Arla Foods Ingredients has launched a selection of new product application solutions. All have been benchmarked against existing kids’ snacks options to ensure they represent a superior option in terms of improved nutrition. Among the solutions in the range is a delicious and easy-to-eat 35g ‘dairy bar’ that offers as much calcium per serving as in one glass of milk. It is 20% protein and low in calories. Benchmarked against a typical chocolate bar, it contains one third less energy and, since more of the calories come from protein, energy release in the body is optimised. This helps youngsters to feel fuller for longer than they would with confectionery, where more of the energy comes from sugars. Other innovative application solutions in the new snacking range include a yoghurt bar, a healthier dessert, a carbonised drinking yoghurt and a snack cake with less than 100 calories per serving. The kids’ snacking application solutions have been launched under Arla Foods Ingredients’ Goodness of Dairy* campaign. This highlights how dairy ingredients are key to tapping into growing consumer demand for food that is natural, healthy and delivers great taste and texture.